I have been a Licensed Real Estate Professional since 1993. Originally I got my license for my own R.E. Transactions. I started purchasing property at the young age of 19 yrs old without the help of family. Being an Entrepreneur & a vision of buying fixer homes & flipping them, it evolved into designing & building homes. I have been a business owner for many years, including inventing a Salad Dressing that’s Sold in Specialty Grocery Stores & working aside my husband who owned/operated a Auto Dealership, Service/Detail Shop. We were a bank, In-house Financing for individuals who couldn’t get a Conventional Loan. When I hire a CPA, Gardener, Doctor, Hair Stylist, Contractor, Lawyer, Etc… I expect FULL Service, that being said I cannot imagine giving my clients anything less! My Slogan is Excellent Service! Every Client! Every Time! & that is exactly what I do. I work with a team of Lenders & Title Co’s. I have an Assistant Coordinator & an In-House Marketing Dept. Although I have these people working for me & my clients I am Full timehands on throughout the entire business transaction. In other words, I don’t just get a client’s deal started I see it through. I am a tough negotiator, extremely detail oriented make sure every “I” is dotted & “T” crossed, not leaving any stone unturned makes a smooth stress free transaction for my clients. One very important thing I live by whether it is Business or Personal, The Golden Rule Treat Others as You want to be Treated. 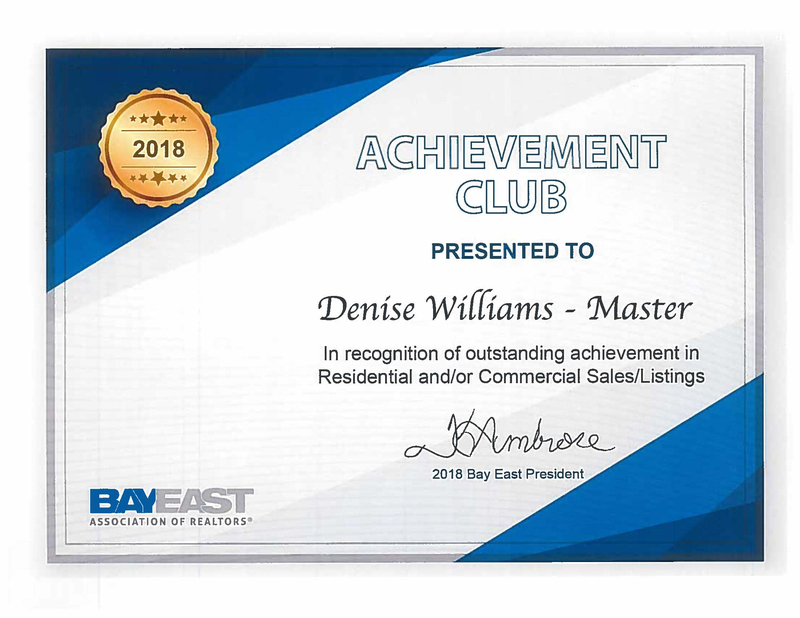 Denise is a Top achiever award recipient every year since inception with RE/MAX Accord. Denise has personally been a part of over 100 Million Dollars worth of both Residential & Commercial Real Estate Transactions.